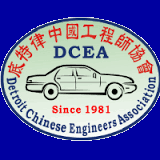 DCEA will hold 2011 Automotive Technology Conference and Annual Meeting Celebrating 30 years of Excellence - The pre-registration for the banquet is closed. Thank you for your interest and support. The pre-registration for the event banquet is closed. Thank you for your interest and support. The Tech session is still open. 2011 is the 30th anniversary of DCEA. With the recovery of US economy and Detroit automotive industry, it is a perfect time for our members and friends cross the Pacific Ocean to meet again to exchange information on the newest development on Automotive Technology and have a retrospective view on what DCEA has achieved in the past 30 year. It is also a perfect time to look forward to the bright future for automotive engineers and understand the economic and technological collaboration trend between Us and China as well. Please join us to celebrate this unique moment to acquire newest information on technology and participate in the dialogue between US and China government officials.